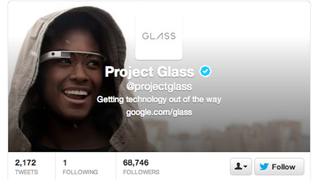 When Google started its Glass-giving spree, it picked out some odd picks. It got so bad that some of those offers got pulled. But you can bet these celebrity winners will get their copies. Stanford computer science student Andrej Karpathy put together a handy-dandy script that trawls Twitter and spits out the winners in order of their follower counts. And man, some of them are pretty random. It's not that these picks don't make any sense; a few of these guys have cool ideas. They just aren't folks you'd tend to think of as developers or beta testers, or even necessarily techies. NYMag says that the winners are being picked by an outside firm, so it really could be that some of these folks were picked out of a hat, or maybe just chosen by follower count. And it's not over yet either; Google says it'll give a heads up when it's done handing them out. But it looks like some of the most puzzling explorers have already been tapped.